1: ARE THEY HONEY BEES? 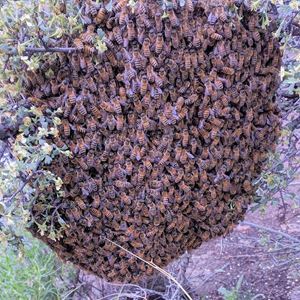 If you encounter a swarm of bees you should first and foremost develop a safety plan. Avoid the area and keep children and pets away from the swarm or colony. 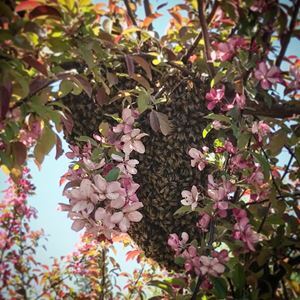 Honey bee swarms are a common occurrence in Spring and Summer and are a very natural and wonderful part of the honey bee life cycle. 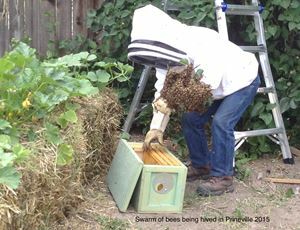 In most cases local beekeepers will be quick to help with swarm removal at no cost. 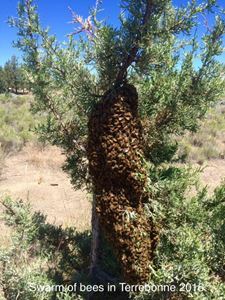 The first step will be making sure you are dealing with an actual honey bee swarm and not another insect. Colonies easily accessed and removed without major efforts. May require a contractor and removal fees. 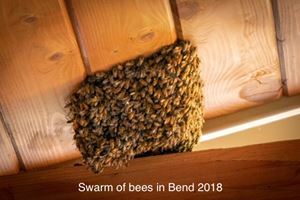 Members: Add your swarm photos here! 1. Log into your account and click on "View Profile" at the top right of the page. 3. Towards the bottom you will see a selection of groups to choose from. **Make your selections and make sure to click "Save" at the top. *Remember that Bee Removal is very different from swarm capture and may require structural work (builder/contractor). Please do not sign up for more than the "Simple Swarm" lists if you are unable to assist with cutout/trapout or structural colony removals. **If you need to arrange for an experienced beekeeper to assist you please do so before signing up for swarm calls. If your listing does not immediately show on the list - repeat step one and check your privacy settings. Contact us if you have any issues.